Combined with her love for Kauai and her over 13 years experience in the real estate market, Anne brings her knowledge, expertise, passion, and a desire to make your dream of owning a home on the island of Kauai a reality. With her experience in sales and marketing as well as her creativity in staging a home, Anne is able to present her clients with the most qualified buyers for the homes they have listed with her. 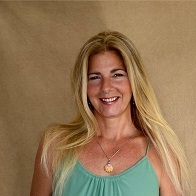 Also, from her twenty-four years in the Garden State of New Jersey’s travel industry, she brings to the garden island her attention to detail, and her ability to make sure that her clients are well taken care of whether they are first-time home buyers, seasoned investors or motivated sellers. Whether you are hoping to buy a home or land on Kauai’s lush north shore or the sunny southside, Anne has the eye and expertise to find you the right property at the right price. If you are ready to put your home or property on the market, Anne will walk you all the way from getting you an accurate appraisal to closing the deal and selling your home. Anne enjoys beautiful Kauai beaches, hiking, going to farmers markets, practicing yoga and making delicious smoothies with fresh fruit and superfoods. The best compliment is always a referral.